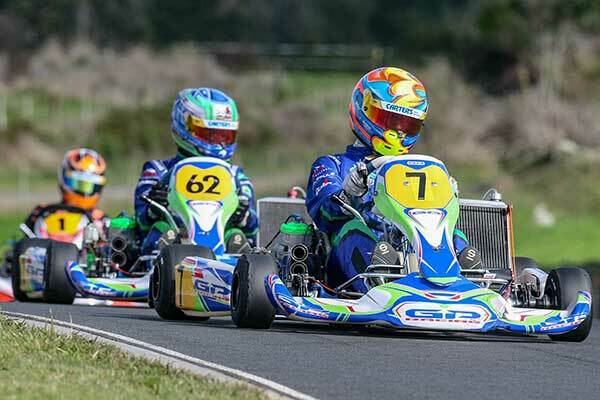 Young gun, Matt Payne from Auckland, steps up to the big time this weekend, joining established Kiwi kart international Daniel Bray at the second (and final) round of this year’s CIK-FIA European KZ2 Championship at the South Garda Karting circuit in Italy. At just 15 years-of-age the Rosehill College, Papakura student will be one of the youngest drivers in the 92-strong KZ2 class field, but Bray, a veteran now of a number of CIK-FIA European KZ2 Championships – and who finished eighth overall at the first round of this year’s two-round series at Salbris in France in May – says he has every confidence in his young teammate on the works GP Karts/Aluminos Group/TM Racing/LeCont squad. “Matt’s proved as quick as anyone in a KZ2 at home and he’s been competing across the Tasman in various Junior classes since he was in his early teens so he’s used to rocking up at a track he doesn’t know and working out what he needs to do to be on the pace.